Today, Finance Minister Vic Fedeli tabled Ontario’s Fall Economic Statement. Given Ontario’s difficult fiscal situation (a large budget deficit and mountain of public debt), and signals that the update would be a “mini-budget’ with changes to tax and spending plans, the update attracted more interest than most. Indeed, it was an early opportunity for the Ford government to signal its seriousness about fixing Ontario’s broken finances. 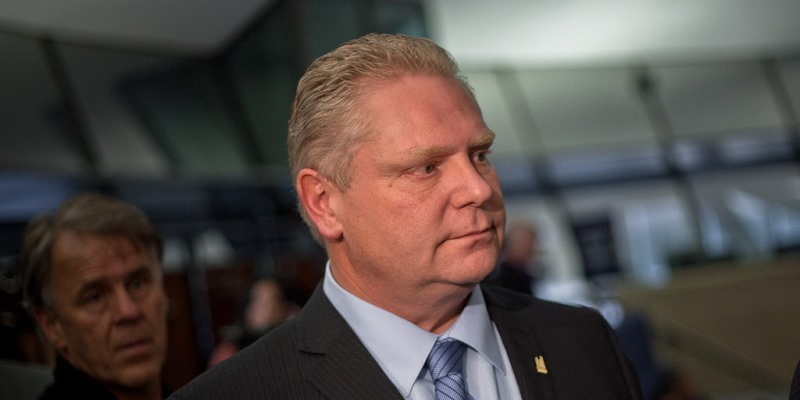 It appears, however, that Ontarians will actually need to wait until at least the spring (and the government’s first full budget) to determine whether the new Ford government will take a fundamentally different approach than its predecessors or whether its fiscal strategy will in fact be one of policy continuity. To be sure, there are some signs there will be a change in fiscal direction. For instance, the Ford government seems poised to tap the brakes on provincial government spending growth, which Fraser Institute research shows is at the root of Ontario’s fiscal challenges. More specifically, the province now projects spending will be $3.3 billion lower than had been planned in the spring budget—a downward revision of approximately two per cent from the previous projection. Much of the savings are the result of eliminating planned spending associated with the previous government’s climate change plan, which has been scrapped. In advance of the fiscal update, some observers forecasted it would mark a return to “austerity.” The modest spending cancellations announced today, however, don’t fit this bill by any stretch. Indeed, nominal spending is still projected to be up considerably from last year’s levels. This doesn’t mean the Ford government won’t eventually embark on meaningful fiscal consolidation that actually reforms and reduces government spending; it just means it hasn’t happened yet. For the provincial government’s bottom line, the government’s moderate spending cancellations have been almost entirely offset by revenue reductions—again, mainly due to the government’s cancellation of its cap-and-trade plan. Indeed, once revenue reductions are factored in, the government’s operating deficit in the fiscal update stands at $14.5 billion—only half a billion less than the pre-update status quo. This reduction in revenue from scrapping cap-and-trade means more money will stay in the accounts of Ontario residents and businesses (at least for the time being, until the federal backstop on carbon-pricing kicks in, if it’s implemented). But it also means the government has not yet made meaningful progress on deficit-reduction in this year’s spending plan or provided a timeline for a return to balance. Those concerned about the health of Ontario’s finances, and specifically provincial government finances, are left to hope these will be delivered in the government’s first budget this spring. Observers hoping for major changes to Ontario’s economically harmful personal income tax (PIT) system were also disappointed. Specifically, the mini-budget did nothing to address the most economically-harmful dimension of Ontario’s personal income tax system—very high marginal tax rates on skilled professionals. Many professionals in Ontario face a marginal tax rate of 53.53 per cent on each new dollar they earn—the second highest rate in North America. This reduces incentives for work, entrepreneurship and productivity generally. The mini-budget did include some tax relief for lower-income workers, but did not make major changes that would dramatically improve economic incentives throughout the income distribution and promote competitiveness. Of course, this type of substantial PIT reform would require additional spending restraint to make progress towards a balanced budget. Given the importance of such reform to the province’s long-term growth prospects, it should nevertheless be on the new government’s agenda. But again, we’ll have to wait until the spring to find out if it will be. In short, those hoping the mini-budget would present a plan for meaningful deficit-reduction and/or pro-growth tax reform will be disappointed. None of this means the Ford government won’t make good on its promises to fix Ontario’s finances or boost competitiveness to make Ontario “open for business.” It does, however, mean that it has missed its first opportunity to match its words with decisive action and send a clear signal to investors and Ontarians that policy change is on its way.